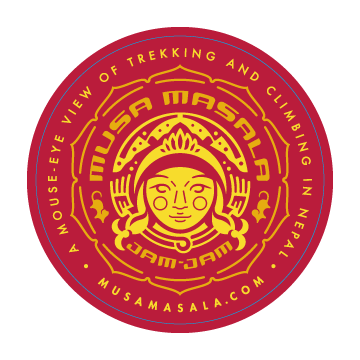 All of us here at Musa Masala are always looking for exciting and different ways to help raise money for the Wongchu Sherpa Memorial Hospital and we think we have come up with one that will make you laugh. Musa Masala presents our very first Comedy Jam. We’re calling it Comedy Jam Jam!! 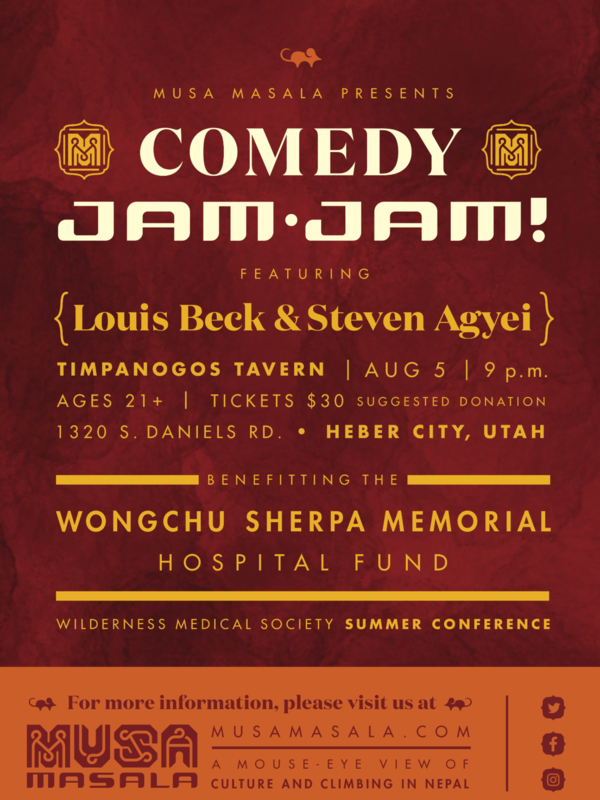 It will take place on Sunday, August 5th at Timpanogas Tavern in Heber City, Utah. We have two of the funniest people we could sneak out of the Denver comedy scene, Louis Beck and Steven Agyei. We are super thankful for Jacey at Timpanogas for making her place available to us. 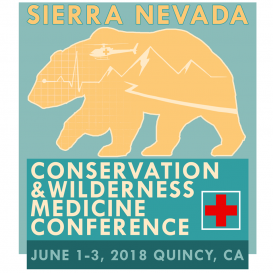 The show will begin at 9:00pm on the opening day of the Wilderness Medical Society’s Summer Conference, held in Midway, which is only four miles from Timpanogas Tavern. 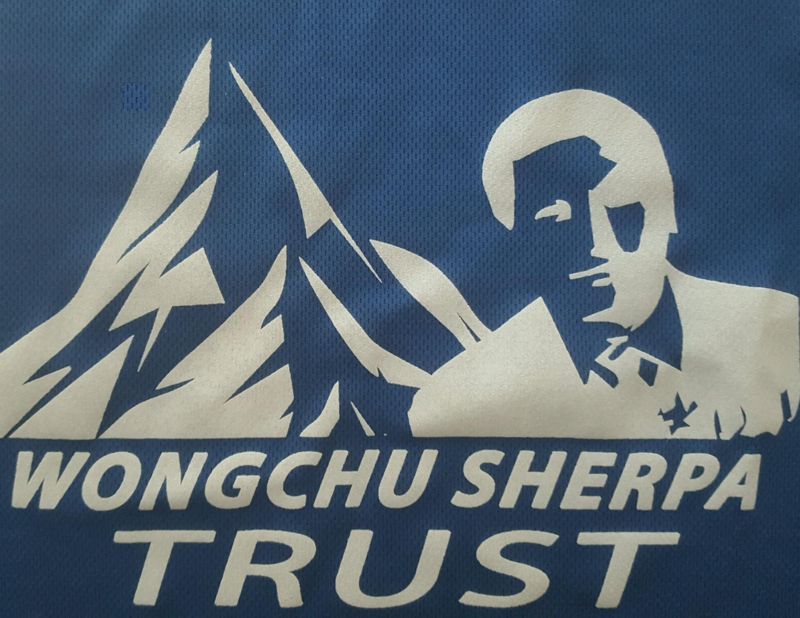 All of the proceeds will go to the WMS Wongchu Sherpa Memorial Hospital Fund. Please come out and support our cause and support live comedy. This is going to be awesome!! 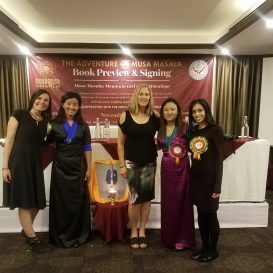 A rare interview with Lhakpa Sherpa, the record holder for women on Mt Everest, she just completed her 9th summit! We also have an interview with Alan Blassberg, the director of the documentary about her, Goddess of the Sky, coming. Our venomous snake tutorial is finished. 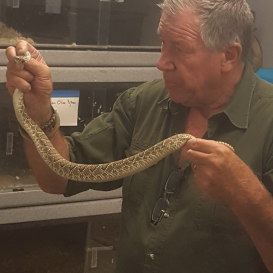 We will be bringing that to you, as well as a short on Jules Sylvester, reptile wrangler extraordinaire! 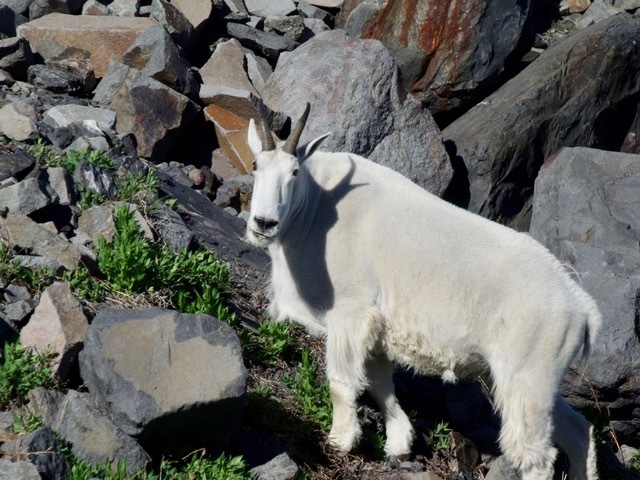 Straight from the Everest ER tent, we’ll share video interviews with this season’s doctors. 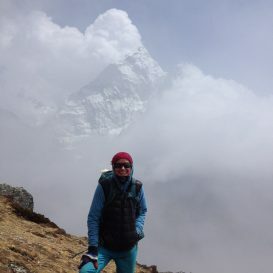 A super interview and story on Lakpa Norbu Sherpa, helicopter rescue specialist at Everest ER.Lakpa has been there since Luanne Freer started Everest ER in 2003! 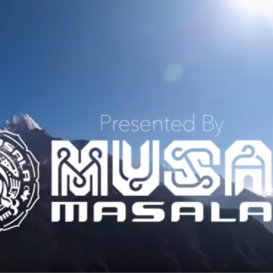 An interview with Musa Athlete Olga Dobranowski on her solo ascents this year of Aconcagua and Denali! 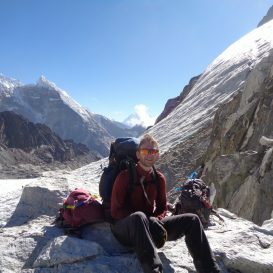 An interview with Georgie Davenport, a paramedic working in Spain and the operations manager for Benegas Brothers Expeditions. 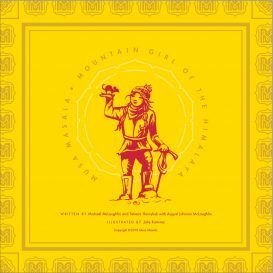 She will tell us about opportunities for women in combining climbing and medical fields, with some great stories about teaching medical first aid courses to guides on expeditions. 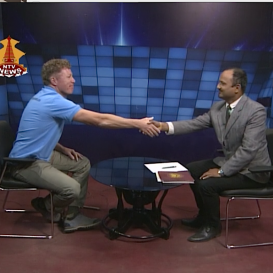 The Good Trekker, Safe Climber Series will present video learning tutorials on altitude illness and personal narratives of dealing with AMS, HAPE and HACE. There are a crazy amount of interesting stories lined up. 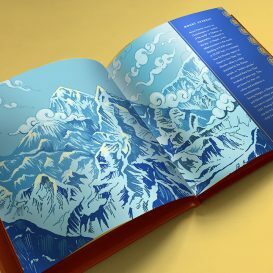 We are also excited to give you a look at the nearly completed Musa Masala: Mountain Girl of the Himalayas, our book which is being illustrated by the incredible Julie Ramirez. I’m jamming my way to the Comedy Jam Jam!! That’s it for now. 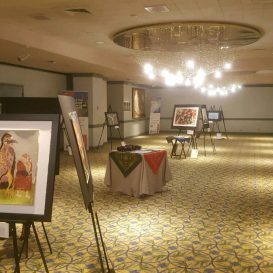 See you at the show. Jam Jam! !